The Marquis de Maché presenting the world's largest popup book. Costume design and construction by myself and Sarah A. Gardner. I earned an M.F.A. from the UArts / Pig Iron Devised Performance Program, which specializes in ensemble-created, physically based theater that draws from the pedagogical approach of Jacques Lecoq and others. Although I had already established a strong track record for creating original theater, attending grad school permitted me to immerse myself in the work and expand my artistic vocabulary. The program's director Quinn Bauriedel characterizes me as a, "gentle leader," and "true collaborator," who has "a knack for physically precise characters," and "strong skills as a writer and performer." Even though I'm currently focused on the creation of staged and site-responsive performance, I maintain my interests in copywriting, instructional writing, technical documentation, and video. In fact, I also hold an M.F.A. in film/video production. Prior to attending the Pig Iron school, much of my work was devoted to teaching video editing and effects software — in print, in person, and online. But I don’t limit my writing to instructional materials. I’m interested in writing of all sorts. I’ve written for corporate videos, mobile device tutorials, and magazine articles. Befitting my current career course, I’ve also written successful stage plays. 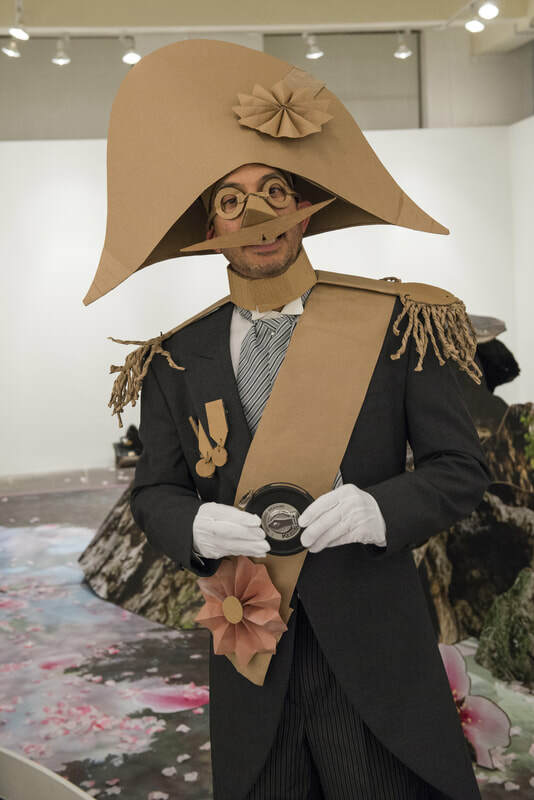 One of them, on the nOse, incorporates original video documentary footage into a “multi-media modern clown show,” and has played in Orlando, D.C., and N.Y.C. I developed an innovative structure for a long-form improvised play entitled, Liquid Courage. Both my plays, onomatopoeia, and Egg Tooth, earned Patron's Pick at the Orlando Fringe Festival. I’m always looking for opportunities to integrate my skills into directed or devised works.